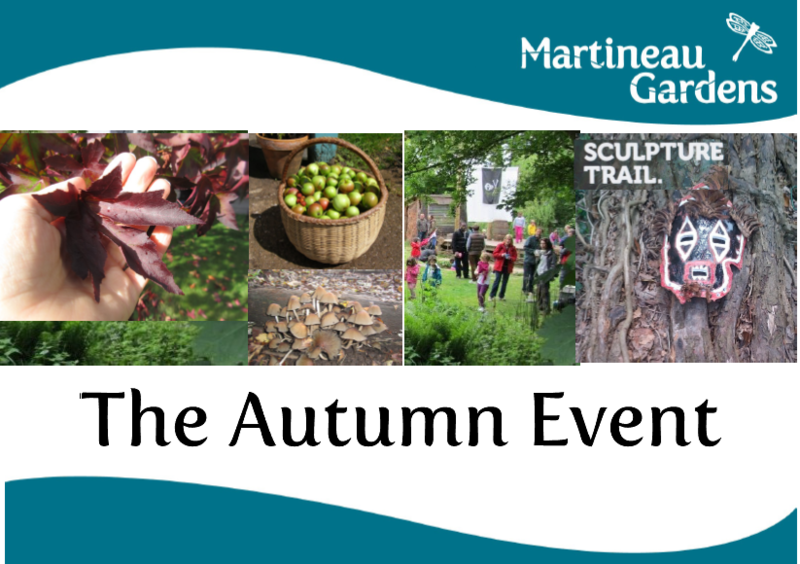 Live music from local musicians, the launch of Gallery in the Trees, wildlife activities for children, a herbal walk, apple pressing and story fun are some of the treats in store for visitors to Martineau Gardens’ annual Autumn Event on Sunday 29 September 2013 from 11am – 3pm. Our family friendly ‘green’ fete will celebrate the Autumn harvest and provide an afternoon of family fun. Admission fee for the Autumn Event is non-members £3, concessions £1, families £6 and free to members.For more details of what’s planned, click here.